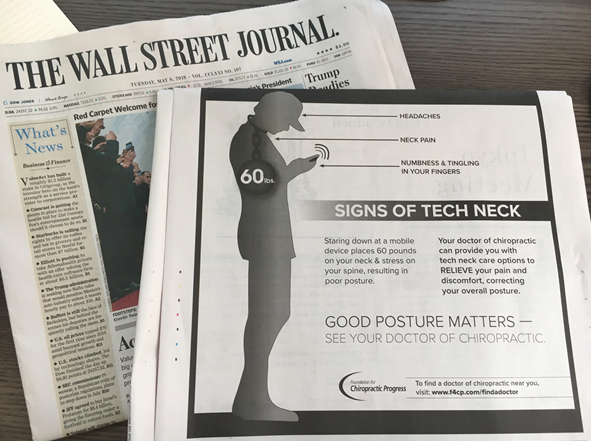 In honor of National Correct Posture Month, The Wall Street Journal featured the Foundation’s brand-new Tech Neck advertisement. Follow Your Profession on Social Media for Timely Updates. The Foundation has implemented a brand-new social media campaign, and needs your help. 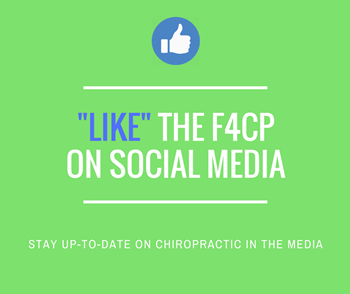 If you haven’t already, please “LIKE” the Foundation on social media to stay up-to-date on the latest positive press for the chiropractic profession. After you have followed the Foundation on its social media platforms, please share the image with your own social media followers. The more individuals we can reach with positive messaging about chiropractic, the better. The Foundation has rolled out a brand-new, monthly webinar series designed for CAs. The Foundation for Chiropractic Progress (F4CP) has redesigned its website. www.f4cp.org, is now live and hosts brand-new, easy-to-navigate features that will help you, help your practice. As a member of your State Association, you may already be a part of the F4CP! Contact Membership Director, Marta Cerdan, to set up your account or get started on using the materials: [email protected]. The continued growth of the Foundation is dependent upon more doctors, vendors and students getting involved. Encourage your list of contacts to join you in support of the profession’s successful positive press campaign. OVER ONE HUNDRED BILLION POSITIVE MESSAGES ON CHIROPRACTIC HAVE BEEN DISTRIBUTED AND TRACKED OVER THE LAST THREE YEARS!